Qualcomm has consistently been able to generate for its shareholders a significantly higher return than the shareholders could get from being paid a dividend. It has no "excess" cash for dividends. If Qualcomm paid a dividend, our shareholders would view it very negatively. Qualcomm would be saying, "We have run out of good profit opportunities." Our shareholders don't like dividends as much as they like the capital gains from Qualcomm's growth and profitability. Anthony S. Thornley is Executive Vice President and Chief Financial Officer of Qualcomm. Qualcomm trades on NASDAQ and is part of the Standard & Poor's 500 Index. Its average annual growth rate in earnings over the past five years has been 65 percent. Utility investors like dividends. Historically, Edison International has paid out considerably more than 50 percent of its earnings as dividends. Investors have viewed utilities such as Edison as defensive stocks where dividends are a cushion against stock market volatility. As a utility, Edison has had limited growth opportunities and has been able to finance their growth out of retained earnings and new stock. In 1994, Edison reduced its dividend reflecting changes in the utility business and Edison's increasing participation in higher growth, nonutility business. Alan J. Fohrer is Executive Vice President and Chief Financial Officer of Edison International. If s = 0, Div1 = Div0. In other words, there is no change in dividends at all. Real-world companies can be expected to set s between 0 and 1. An implication of Lintner's model is that the dividends-to-earnings ratio rises when a company begins a period of bad times, and the ratio falls when a company reaches a period of good times. Thus, dividends display less variability than do earnings. In other words, firms smooth dividends. We previously observed that the price of a firm's stock frequently rises when its current dividend is increased. Conversely, the price of a firm's stock can fall significantly when its dividend is cut. In other words, there is information content in dividend changes. For example, consider what happened to Pacific Enterprises a number of years ago. Faced with poor operating results, Pacific Enterprises omitted its regular quarterly dividend. The next day the common stock dropped from 24/8 to 18/8. One reason may be that investors are looking at current dividends for clues concerning the level of future earnings and dividends. 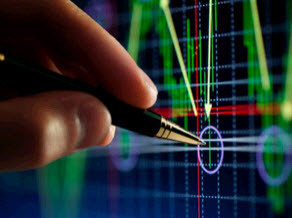 The knowledge of the finance profession varies across topic areas. For example, capital-budgeting techniques are both powerful and precise. A single net-present-value equation can accurately determine whether a multimillion dollar project should be accepted or rejected. The capital-asset-pricing model and the arbitrage-pricing model provide empirically validated relationships between expected return and risk. Dividends are taxed as ordinary income. 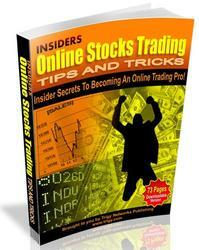 sults and provide support to stock price. on costly external equity financing. ing a firm's stock price. P I Ross-Westerfield-Jaffe: I IV. Capital Structure and I 18. Dividend Policy: Why Corporate Finance, Sixth Dividend Policy Does It Matter? 1. Firms should avoid having to cut back on positive NPV projects to pay a dividend, with or without personal taxes. 2. Firms should avoid issuing stock to pay a dividend in a world with personal taxes. 3. Repurchases should be considered when there are few positive new investment opportunities and there is a surplus of unneeded cash. The preceding recommendations suggest that firms with many positive NPV projects relative to available cash flow should have low payout ratios. Firms with fewer positive NPV projects relative to available cash flow might want to consider higher payouts. In addition, there is some benefit to dividend stability, and unnecessary changes in dividend payout are avoided by most firms. However, there is no formula for calculating the optimal dividend-to-earnings ratio. Perhaps the most important dividend decisions a firm must make are when to pay dividends for the first time and when to omit them once they have started.We study the case of Apple Computer for clues to why firms pay dividends and later on omit them. Part IV Capital Structure and Dividend Policy million. In 1980 Apple "went public" with an initial public offering (IPO) of common stock. Shortly thereafter,Wozniak left Apple and John Scully was hired from Pepsi to become president.Apple did not do well with its Lisa (1983) and Apple III computers, but the Macintosh (1984) was a huge hit— primarily in the home and educational markets. In 1985, after a widely publicized struggle for power with Scully, Jobs left to start another computer company called Next. In many ways 1986 was a watershed year for Apple. By the end of l986,Apple had revenues of $1.9 billion and net income of $154 million. From 1980 to 1986 its annual growth rate in net income was 53 percent. In 1986, with Mac Plus, Apple launched an aggressive effort to penetrate the expanding office computer market—the domain of its main rival IBM. However, its future prospects were not necessarily bright. Much depended on Apple's ability to do well in the business market. Competition was very intense in early 1987, and Sun Microsystems slashed the price of its least costly computer workstation to try to stop encroachment by the Apple Mac. However,Apple surprised everyone with large earnings gains in the final quarter of 1987 and by disclosing the fact that the sales on Macintosh models had increased by 41 percent. To demonstrate its faith in its future, to underscore the recent success of the Mac, and to attract more institutional investors, on April 23, l987,Apple declared its first ever quarterly dividend of $.12 per share. It also announced a two-for-one stock split.The stock market reacted very positively to the announcement of Apple's initial dividend. On the day of the announcements, its stock increased by $1.75. Over a four-day time span the stock rose by about 8 percent. The initial dividend turned out to be a positive portent, and the next four years were good years for Apple. At the end of 1990, Apple's revenues, profits, and capital spending had achieved record highs. Why do firms like Apple decide to pay dividends? There is no single answer to this question. In Apple's case, one part of the answer can be traced to Apple's attempt to "signal" the stock market about the potential growth and positive NPV prospects of its attempt to penetrate the office computer market.The payment of dividends can also "ratify" good results.Apple's initial dividend served to convince the market that Apple's success was not temporary. 1981 to 1997. As can be seen, dividend changes have tended to lag earnings changes. In 1992, when earnings per share increased from $3.74 to $4.33 there was no change in dividend payouts. And when in 1993,earnings per share declined to $2.45, Apple did not change its dividend payouts. However, Apple's dividend was completely omitted in 1996. Now we have another question, why did Apple omit its dividend in 1996? The firm had experienced several market setbacks. It was forced to retreat from its much heralded "cloning" strategy. In an important shift in strategic thinking, Apple had started licensing its Mac operating system to other manufacturers. Unfortunately, instead of attracting new buyers, this policy was eroding its own base and sales fell sharply. As a consequence, Apple experienced operating losses of $742 million in 1996 and $379 million in 1997. 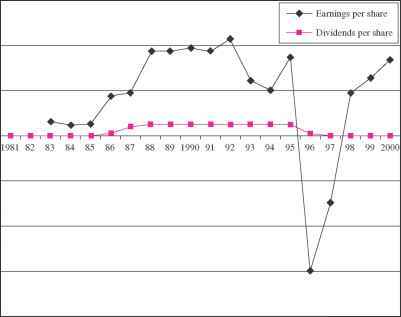 Looking back at Figure 18.9, it can be seen that Apple's dividends have been more stable over time than its earnings.This is typical of the dividend policy of most firms. Stability cannot be maintained forever in the face of huge operating losses and most companies ultimately slash dividends if the losses continue. How to firms make decision to pay dividends: ross westerfield? How firms make the decision to pay dividends: the case of apple computers? Why did apple omit its dividend policy in 1996? How firms make a decision to pay dividends: the case of apple computer? How firm make the decision to pay dividend: the case of apple computer? How firms make the decision to pay dividens:the case of apple computer?